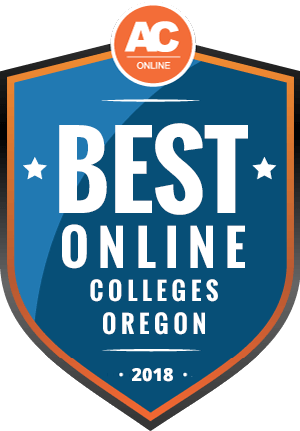 Why Choose Oregon for Online Higher Education? Using educational data from Georgetown University’s job growth study, Strategy Labs projects that 70% of jobs in Oregon will require some postsecondary education by 2020. According to Oregon’s Employment Department, the occupations projected to grow the fastest over the next decade will require some college or a postsecondary degree and will comprise about half of the job market by 2027. The fastest-growing positions include physician’s assistant, technology specialist, software developer, and research analyst. Oregon schools are working to improve the accessibility of programs to meet the growing demand for college-educated professionals. This guide covers the most affordable online colleges in Oregon and scholarship opportunities for in-state and out-of-state students. Why Choose Arizona for Online Higher Education? According to data from the Oregon Higher Education Coordinating Commission, the 2017-2018 academic year marks the first year that 50% of students in Oregon participated in at least one online course. Though fully online students comprise only 10% of learners in the state, the increase in online and hybrid students matches the nationwide shift toward more flexible education. According to the Integrated Postsecondary Education Data System (IPEDS), Oregon schools currently offer 68 online programs to help students earn a degree while maintaining employment and fulfilling personal responsibilities. The cost of in-state tuition at Oregon institutions is typically more affordable than out-of-state tuition. According to the National Center for Education Statistics, out-of-state tuition rates in Oregon are typically double to triple in-state rates. To qualify for in-state tuition rates, students must have resided in Oregon for at least 12 months prior to the start of classes. Some schools offer reduced rates for students from certain neighboring states. The difference between in-state and out-of-state tuition rates at Oregon schools are comparable to the national averages: $8,778 and $24,354, respectively, for in-state and out-of-state students at four-year, public institutions. Cost varies dramatically between online programs in Oregon. Typically, two-year programs are less expensive than four-year schools, and public institutions generally cost less than private schools. Below, are examples of tuition costs at different types of online colleges in Oregon. Out-of-state students researching online schools in Oregon should consider several factors. Students in fields such as medicine, law, and education should ensure that Oregon programs qualify graduates to work in their state; learners should check licensing and certification requirements. Students in neighboring states may qualify for licensure mobility between states. The IPEDS data below reflects the current interest of out-of-state students in Oregon programs. In response to the rising cost of postsecondary education, multiple states maintain agreements to increase opportunities for students. Oregon residents — along with residents of sixteen other states, including California, Alaska, Arizona, and South Dakota — qualify for cost-saving initiatives and student exchanges through the Western Interstate Commission for Higher Education (WICHE). WICHE reports that Oregon students saved $17.4 million through exchange programs during the 2017-2018 academic year. More than 160 schools qualify for WICHE exchanges and initiatives, which can cut costs for out-of-state students in half. The National Council for State Authorization Reciprocity Agreements authorizes 31 schools in Oregon. All Oregon schools in the WICHE program hold accreditation from the Northwest Commission on Colleges and Universities, and specific programs must hold accreditation from a field-specific agency, such as the Council for the Accreditation of Educator Preparation for teaching programs. Accreditation ensures the school awards degrees that qualify holders for professional occupations and further education. Given the variety of program lengths and school types operating in Oregon, it can be challenging to gauge the cost of your online college degree. This list details the most affordable online colleges in Oregon. This list also takes into account job search and placement assistance, as well as counseling services designed to promote student success. Below, are answers to frequently asked questions about online universities in Oregon. Prospective students can use this information to decide which programs best fit their academic goals and individual needs. Do Online Credits Cost More or Less in Oregon? Generally, online credits cost less than on-campus credits. Many factors impact the price difference, including the cost of housing and school facility charges. For example, Oregon State University charges online students $297 per credit and on-campus students $818. According to the U.S. News and World Report, online students paid an average of $305 per credit during the 2017-2018 academic year. Oregon State University and the Oregon Institute of Technology compare favorably to national statistics, with both schools offering rates of less than $300 per credit. However, these rates do not include living expenses; prospective students should also consider housing and transportation costs. Which Oregon Schools Accept the Most Transfer Credits? The Higher Education Coordinating Commission (HECC) provides transfer direction for Oregon residents. All public colleges and universities in the state accept eight core classes, known collectively as the Oregon Transfer Module. All public schools provide equivalent coursework to meet the same standards, which means students can complete core classes at a community college or local institution and then transfer the credits into an online program in Oregon. The number of transfer credits an institution accepts depends largely on whether it is a two- or four-year school. The University of Oregon accepts up to 124 transfer credits toward a 180-credit, four-year degree. On the other hand, Eastern Oregon University accepts only 93 credits toward a 180-credit degree. Some schools limit transfer credits from out-of-state institutions. For example, Oregon State University limits California and Washington State transfers to 12 credits. Transfer credits must typically come from accredited institutions. The level of transferable coursework also varies by school. Most institutions, such as at George Fox University, accept previously completed general coursework, but many do not allow students to transfer specialized course credit. Will Any Online Colleges in Oregon Accept a GED? According to the official GED testing website, 97% of all colleges and employers accept the GED diploma as a qualification for higher education and professional development. GED candidates in Oregon must typically be at least 18 years of age, though students as young as 16 can sit for the exam through the GED option program. Many community colleges in Oregon provide test preparation classes to help students pass the GED exam. A passing GED test score in Oregon is between 145 and 150 points on each 200-point subject area exam. Subjects include mathematics, social studies, science, and reasoning through language arts. In addition to GED scores, some schools require SAT or ACT scores, a resume, and a personal statement. How Many Academic Terms per Year Do Online Colleges in Oregon Offer? Many online programs in Oregon accept rolling applications, which means students can apply any time during the year. Fully online courses typically have start dates every three months, often in September, January, March, and June. Some schools, such as Northwest Christian University, provide start dates every two months to increase scheduling flexibility. Some fully online schools, such as Warner Pacific University, provide even more flexibility, with online classes starting each month. Specialty online programs at two- and four-year institutions are more likely to limit start dates to coincide with on-campus class schedules. Summer intensive online courses, such as those at George Fox University, can help students earn their degree more quickly. Which Online Colleges in Oregon Will Accept the FAFSA? All students should complete the Free Application for Federal Student Aid (FAFSA) to qualify for federal assistance, including subsidized and unsubsidized loans, grants, scholarships, and work-study programs. The process for completing the FAFSA is the same for online and on-campus students at accredited institutions. Work-study programs are the only type of federal assistance not typically available to online learners. However, online students can often earn college credit for professional work or internships. For example, nursing students may earn credit by working as a nurse’s assistant at a local hospital or clinic. Are There Any Free Online Classes I Can Take From Oregon Colleges? Massive open online courses (MOOCs) are free courses that students nationwide can complete entirely online. Though designed and produced by individual schools, these classes are not monitored by professors or instructors. MOOCs are self-paced and do not award college credit. These courses provide skills in areas such as computer science, software building, business planning, and professional leadership. Some Oregon institutions, such as Oregon State University, provide their own MOOCs. However, two companies, edX and Coursera, create the majority of MOOCs. For students currently earning an online degree in Oregon, multiple schools offer free training classes and boot camps to help students gain practical skills. For example, Linfield College provides mathematics boot camps at multiple levels to students enrolled in related programs. Other schools offer English language assistance for technical programs in areas such as nursing and computer science. How Can I Find the Online Program Options at Oregon’s Colleges? Oregon does not have a systematic search engine to access and compare online schools. However, the HECC provides information about state trends and average tuition rates at Oregon’s public and private institutions. The HECC maintains links to the school websites of the state’s seven public four-year institutions and 17 community colleges. Students can also access information about obtaining college credit while in high school and transfer opportunities for community college graduates. Students pursuing online degrees in Oregon can apply for Pell Grants, which award up to $6,000 of tuition funding to students who demonstrate significant financial need. These awards are very competitive, so students should also apply for scholarships and other grants. The grant opportunities below are open to Oregon college students. This grant supports parents with children 12 years old or younger. Applicants must be enrolled at least part time at an accredited postsecondary institution in Oregon. The award is renewable, provided the student remains enrolled at least part time and demonstrates degree advancement. The Oregon Promise grant supports in-state community college students. Applicants must be state residents with either a minimum 2.5 high school GPA or at least a 145 average GED score. Recipients can renew the grant for up to 90 college credits, approximately half of a four-year degree. This state-funded, need-based grant is available to state residents attending a local college. Recipients are eligible for up to two years of funding. Applicants must be state residents who do not have a bachelor’s degree, must be enrolled at least half time at an accredited institution, and must demonstrate financial need. This grant suprots young adults emerging from the welfare or foster care system. Applicants must prove they were dependent on welfare or foster care between the ages of 14 and 16, in Oregon or elsewhere, and must complete a full application. Applicants must be under 21 years of age. Dependents of Oregon public safety officers who have been wounded or killed in the line of duty are eligible for this grant. Safety officers include corrections and police officers, firefighters, and parole and probation officers. Applicants must be under 25 years of age and must be enrolled full time at a local accredited institution.